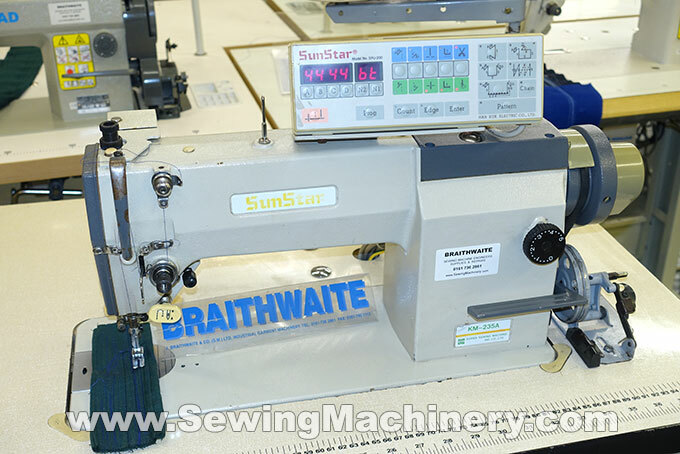 Sunstar KM-235A 7S sewing machine with automatic thread trimmer, automatic back-tack & stitch count control box. 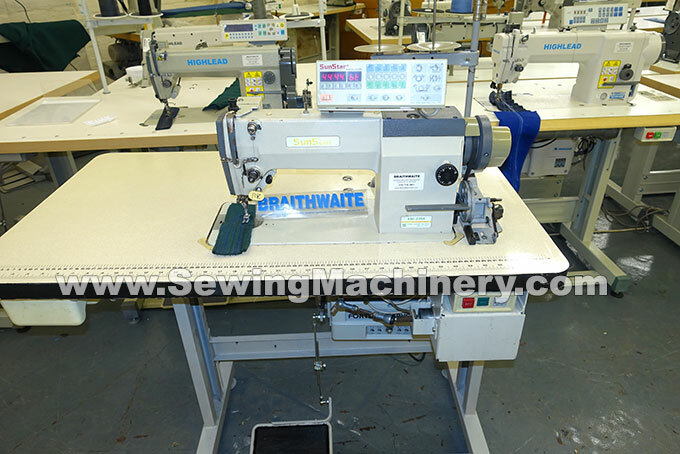 Fitted with quiet electronic servo needle Positioning motor and assembled with matching unit stand and table top. Serviced and tested with 60 days return to base warranty.